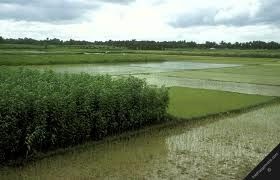 The coastline of Bangladesh is particularly vulnerable to the sea level rise in the Bay of Bengal on account of the low-lying deltaic environment. The tropical cyclones, which strike the coastal areas periodically, create misery and loss of life, property and damage to the ecosystems. The total area of the coastal belt is about 39,300km² (27% of the country's total area) and more than 29 million people (22% of the national population) live in this fragile and vulnerable area. Climate change may influence erosion, accretion, floods, waterlogging, cyclones and tidal surges in the coastal region. Against this backdrop, the people who live in the coastal areas are dependent on its resources for their livelihood sustenance and already belong to a vulnerable category. The livelihood of the people has been affected through the impacts of climate change on agriculture, fisheries, livestock, shrimp farming, off-farm activities and even the locations of human settlements. These situations have led the people to devise unique coping strategies for their survival. The future of their livelihood and for that matter, the human settlements in this region will depend on viable adaptation measures to cope with the future extent and consequences of global warming. What are the demands of stakeholders? What is available to them? How can their needs can be communicated to policy makers to steer necessary action? capacities to respond to the perceived changes. This project was carried out under the Netherlands Climate Assistance Programme (NCAP)] which was funded by the Netherlands Ministry of Foreign Affairs. ETC International managed the overall NCAP project.